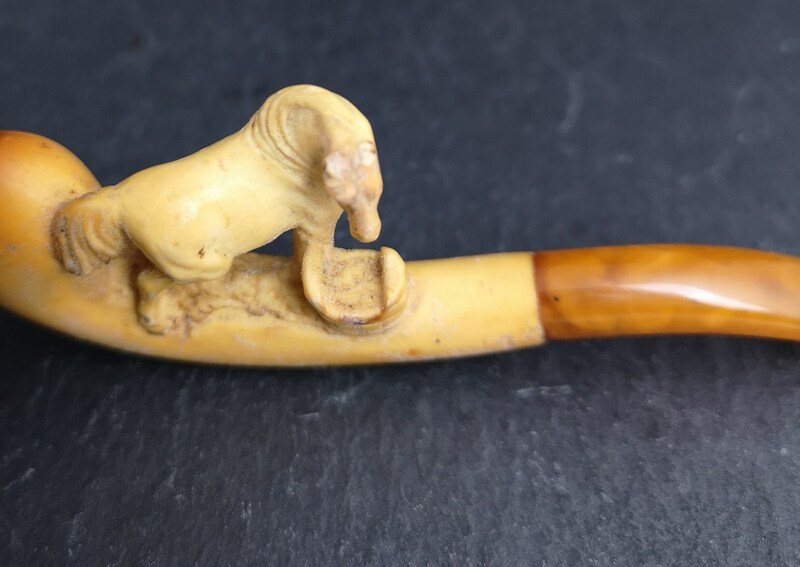 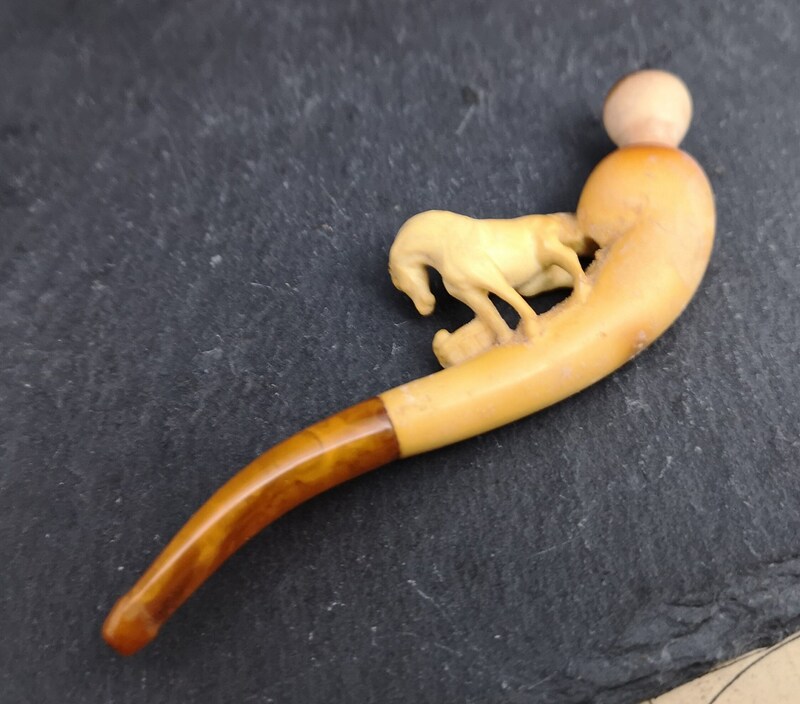 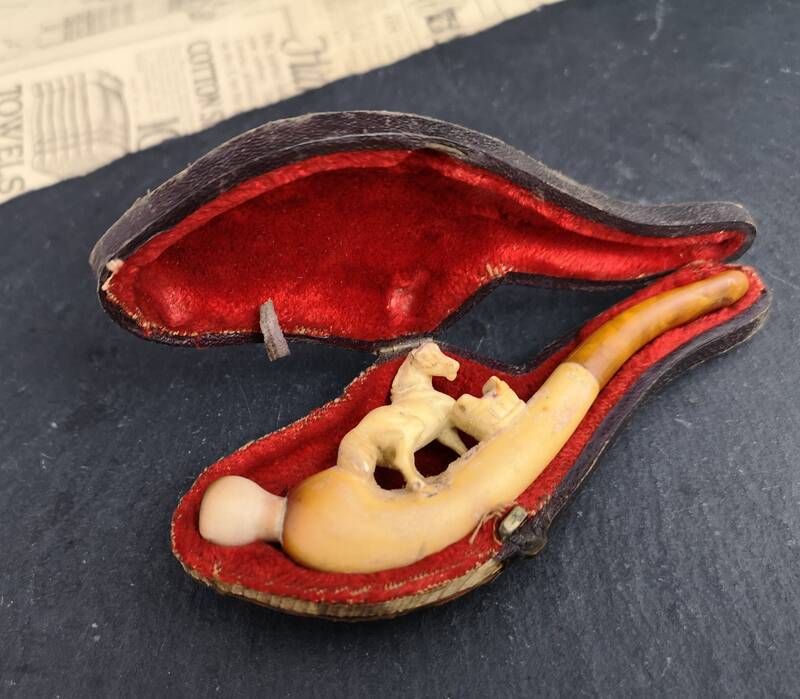 An attractive late Victorian carved meerschaum and Amber cheroot / cigar holder. 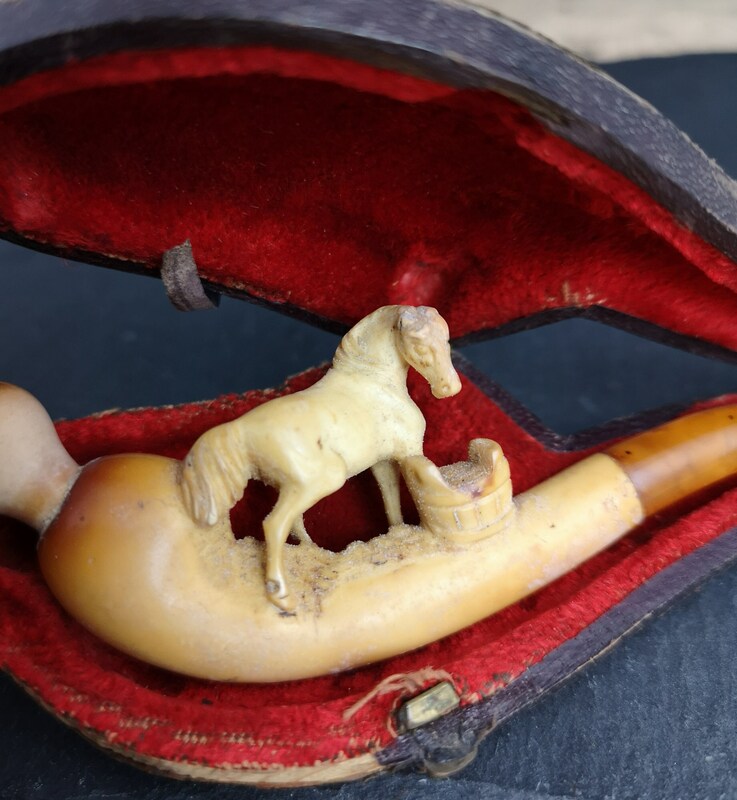 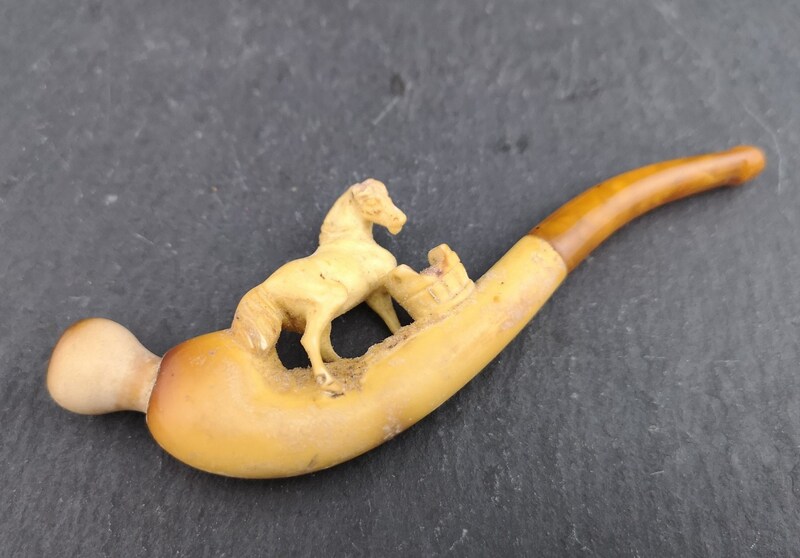 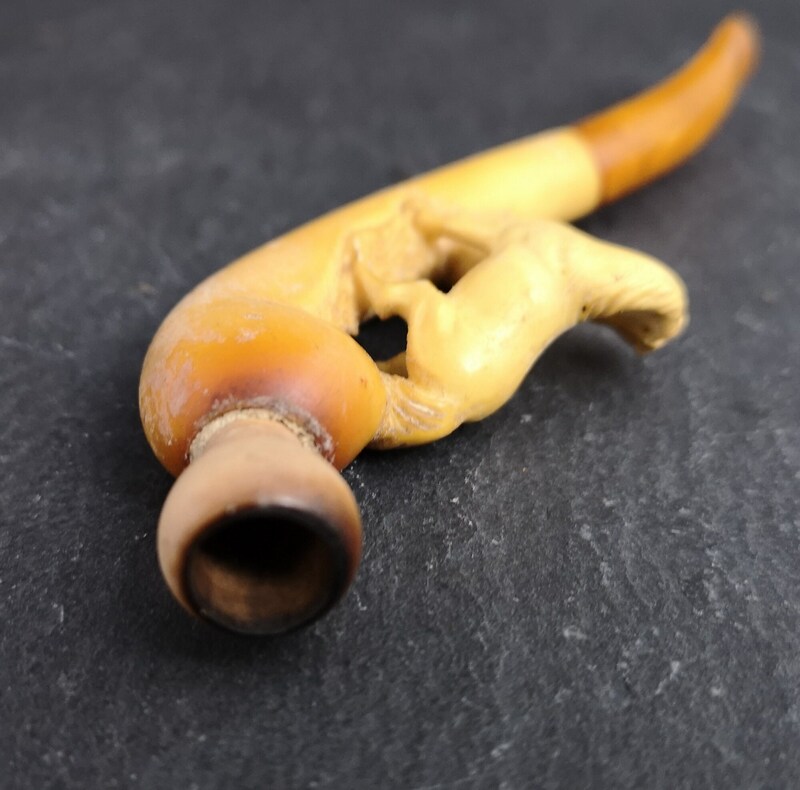 The meerschaum carving features a horse with a bucket of feed and the mouthpiece is made from Amber. 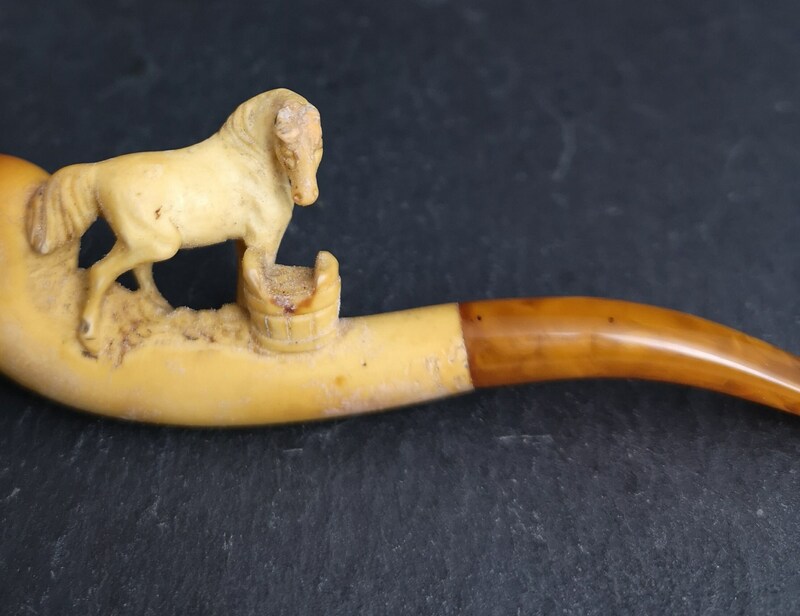 Meerschaum is a clay material and was popular in the Victorian era for pipe making often carved into elaborate and decorative designs. 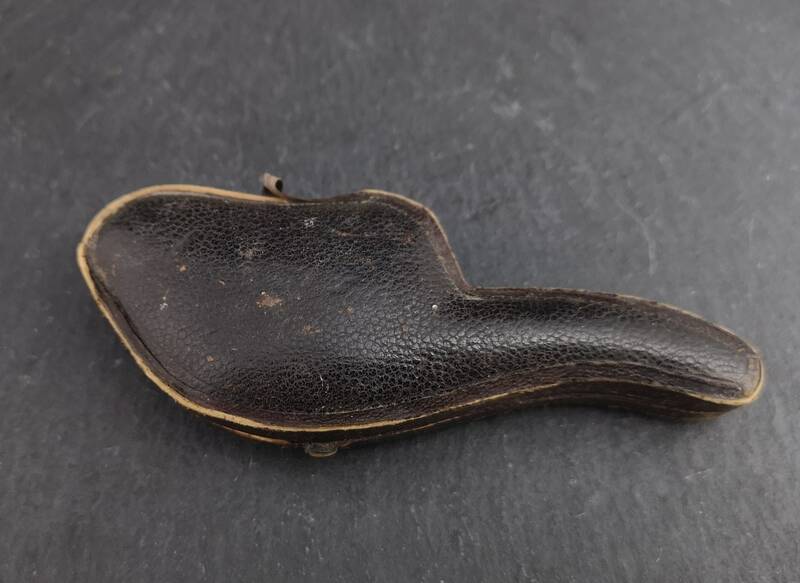 Leather bound case with a brass catch. 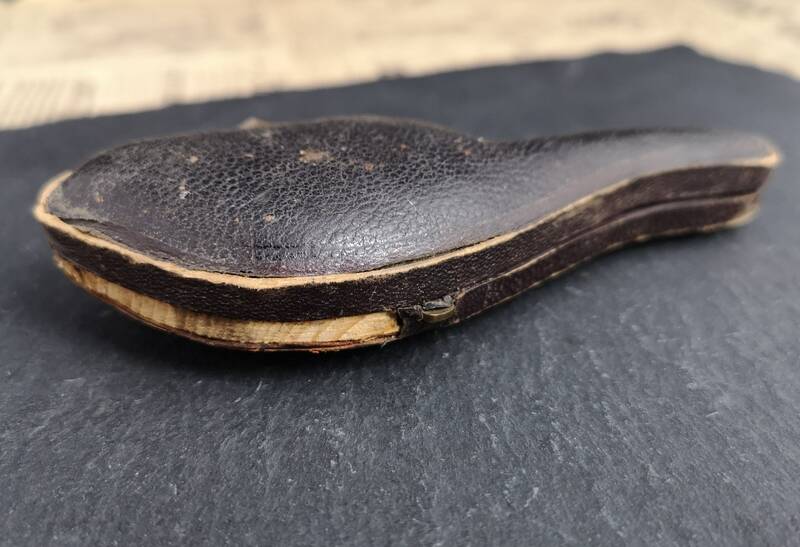 Condition overall is good, case shows some wear with the leather coming away to show the wood, the item has been used and there are visible signs of use, the horses ears are chipped.